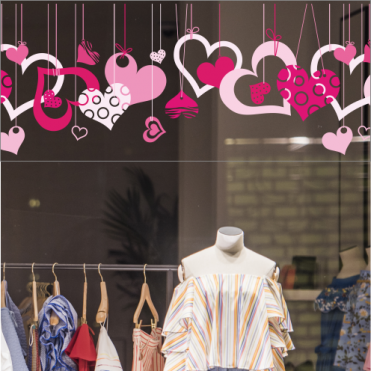 These Valentine's Day themed designs can be ordered in a size of your choice, and when applicable, in a colour of your choice. They are designed so that they can be applied end to end in a seamless manner to cover long windows. Border sticker in a colour of your choice. Border sticker for the top of your windows. 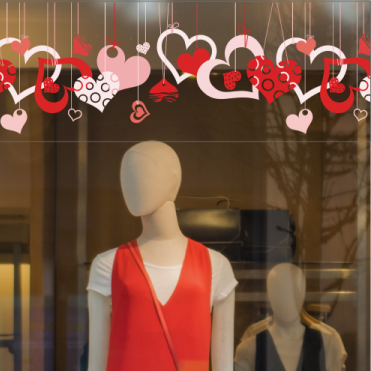 Valentine's Day themed border shop window stickers ideal for gift shops, jewellers and fashion outlets.